Occasionally I look back at some of my older images with a bit of disappointment due to the new post processing skills I have since learned. 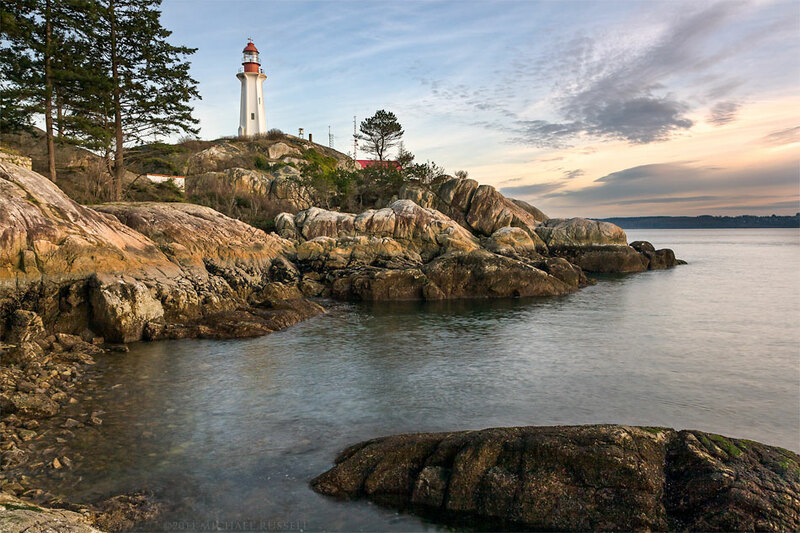 This photograph of the Point Atkinson Lighthouse at Lighthouse Park in West Vancouver is a good example. In the older version (left) I made a number of bad decisions, and just didn’t know how to get much out of the file. While going through older images recently to do some keywording and uploading to my Image Library I found this lighthouse photograph from 2011 and decided to improve the image. For more photographs from the Vancouver area please visit my Vancouver, Coast and Mountains gallery. I have reprocessed this photograph with new editing techniques and a few things I’ve learned since this post. Follow the link here to see the new version of this Point Atkinson Lighthouse photo. 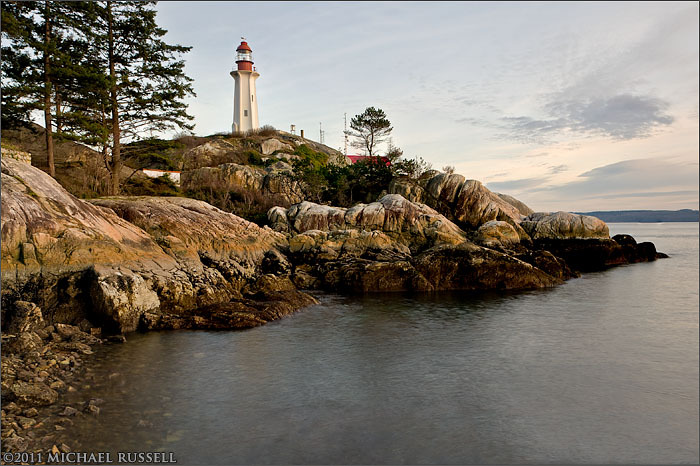 This photo of the Point Atkinson Lighthouse was not what I pictured in my mind when I headed to Lighthouse Park. I had not been in Lighthouse Park in West Vancouver for any length of time since about 1996, so I was a bit rusty in terms of good photo locations. I quite like this spot though, and there may be better in the park I just haven’t investigated it thoroughly enough yet. However, I did envision an decent sunset, which did not occur. A band of clouds over Vancouver Island came in and obscured the direct sunlight. I find this version appealing but I think the sky will offer something more dramatic if I keep checking this spot out.